Seismic Cities is an interdisciplinary research project with the long-term aim of addressing the sustainable cities and communities challenge in urban regions prone to earthquake hazard by increasing resilience to such seismic shocks. We believe that bringing together diverse actors with a focus on a specific ‘Seismic City’ is a powerful mechanism to achieve this. 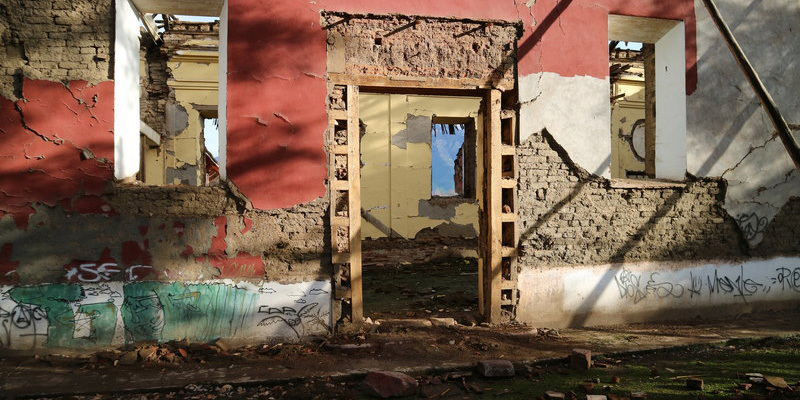 One of the key aims of this project is to develop a blueprint for the long-term Seismic Cities concept and to test ideas and methodologies in a city that has experienced a large earthquake in recent times, namely Santiago in Chile. Seismic Cities is funded by the UK’s Natural Environment Research Council (NERC) as part of its Global Challenges Research Fund. As part of the project, Simon Popple and Dr Tom Jackson have been working on how communities experience seismic events and what can be learned from exploring their experiences in relation to the spaces they inhabit. They have been looking at and documenting how a range of citizens and organisations prepare for seismic events, focusing on how knowledge and training can be transferred between groups and citizens through the use of 'immersive' technologies and storytelling. This transfer of knowledge also happens through exploring the potential of communities using low-cost technologies and participatory filmmaking, sound recording and photography to autonomise and then scale these practices for other communities at risk. Seismic Cities’ methodology has built on a range of previous projects that used the AHRC-funded Pararchive Project and the YARN community tool to engage communities in participatory arts projects centred on storytelling and other creative practices to examine issues of concern within their own communities and across broader community networks.